Helps businesses tell their story online through their websites and social media and generates leads to ideal customers. 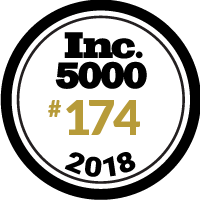 Being recognized by the Inc. 5000 is a testament to our amazing customers and remarkable team. We are excited to continue our growth!